I’ve just added a number of new 2016 training course dates to the Technitrain site. If you’re looking for Power BI, Analysis Services, SQL Server or Data Science training in London then please check them out! Also, if you’d like to sign up for the Technitrain newsletter to stay up-to-date with our news you can do so here. This 5-day hands-on course is designed to provide DBAs with the tools and knowledge that are required to keep their SQL Servers running efficiently and reliably. A two-day introduction to Microsoft’s exciting new BI tool suitable for BI professionals, analysts, report developers or anyone interested in using it to build reports or dashboards. A course aimed at intermediate-to-experienced Analysis Services Multidimensional developers, looking at more advanced cube design topics and query performance tuning. A three-day introduction to the DAX language used by Power BI, Analysis Services Tabular models and Power Pivot. An advanced two-day course for experienced DAX developers who wish to learn how to optimise DAX calculations and queries for performance. A three day course designed for those with little or no experience of MDX, this course will teach you how to write MDX queries and calculations for Analysis Services. This course is aimed at analysts, analytical power users, predictive developers, BI power users and developers, budding data scientists and consultants. The use of parameter tables is a well-known technique in Power Query. 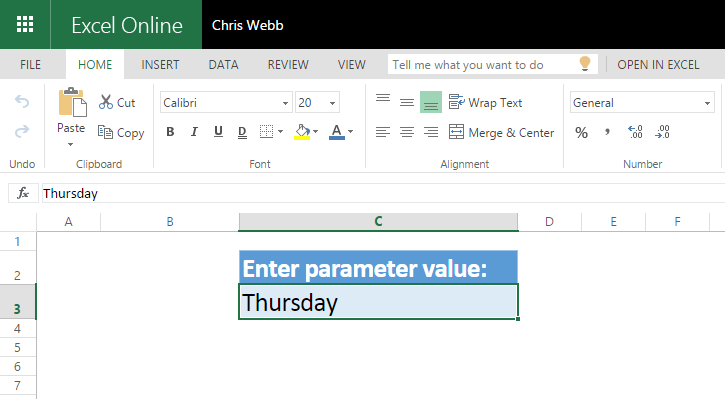 It involves using a table from the current Excel workbook to hold various parameter values that are read using a Power Query query, and these parameter values are then passed to another Power Query query to control how it behaves. 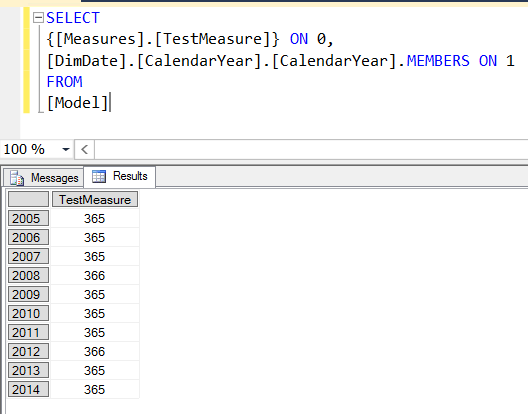 Ken Puls has a great post describing all this here, and similarly a lot of the demos in my video on on building a reporting solution in Power Query involve reading values from a table which are then used to filter data in a SQL query. 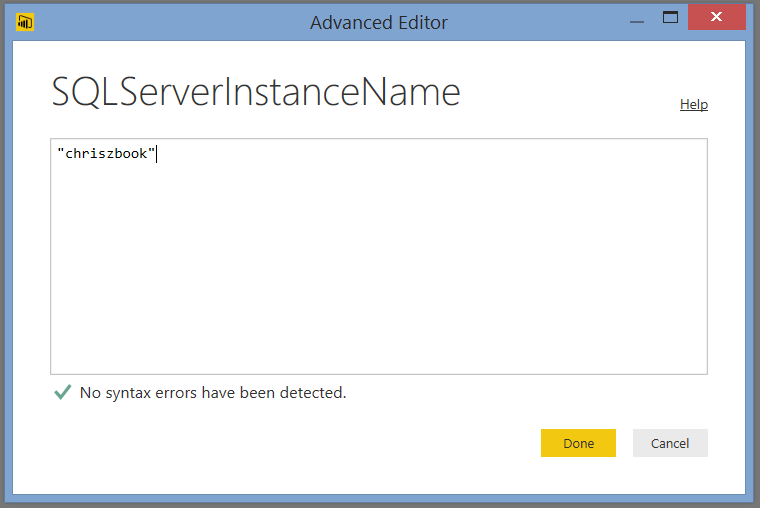 The problem with Power BI Desktop and PowerBI.com is that without a current Excel workbook there’s nowhere to store parameter values (at least at the moment) so you can’t implement the technique in exactly the same way. However, with a bit of creativity, it is possible to do something very similar. 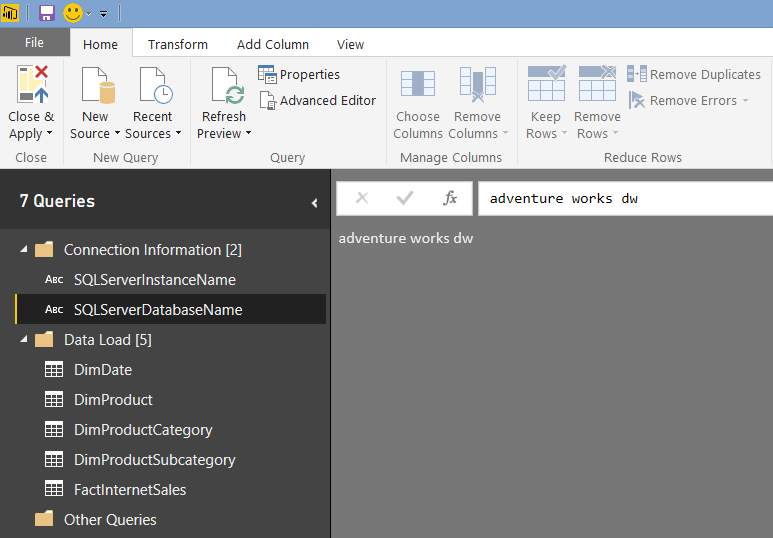 Consider the following M query that gets all the rows from the DimDate table in the Adventure Works DW SQL Server database where the day name is Tuesday. 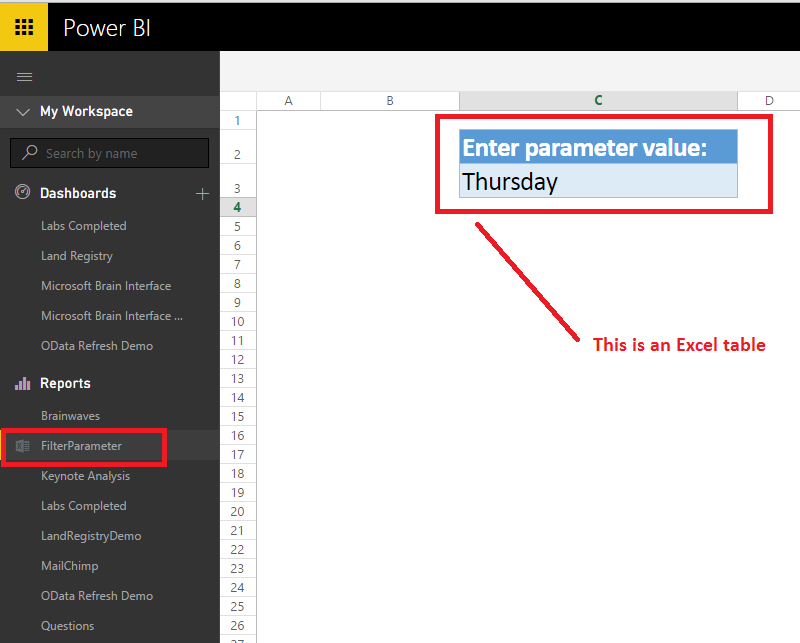 The question is, in this case, how can you make this dynamic and allow your end users to enter a different day name to filter by, and how can you ensure that this dynamic filtering works even when the report has been deployed to PowerBI.com? This is going to be your parameter table. 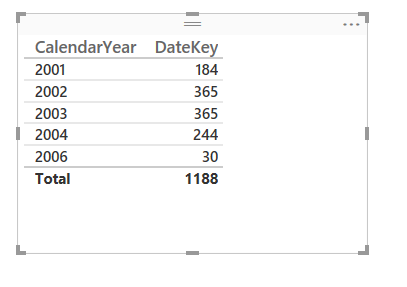 First minor irritation: while it seems like you can change the value in the table inside PowerBI.com the value doesn’t get saved; you have to use the Edit option to open the workbook in Excel Online before any changes you make do get saved. Webinar Recording: Is OLAP Dead? Yesterday I presented a webinar for the nice people at Pyramid Analytics, the first of two. I was paid for it of course (I have to earn a living somehow, you know), but the main reason I agreed to do it was because they wanted me to discuss interesting Microsoft BI questions rather than just demo their product – which is, as I’ve said here before, the most effective way of doing tech marketing in my opinion. In any case Pyramid Analytics is one of a small number of third-party tools I’m happy to recommend to my customers even without being paid. You won’t be surprised to find out that I don’t think OLAP is dead. By “OLAP” I mean the idea of a centralised model containing not just all your data but also things like how your tables should be joined, how measures aggregate up, advanced calculations and KPIs and so on. Using this definition both SSAS Multidimensional and SSAS Tabular are OLAP; I would say both pass the FASMI test for sure. The opposite of OLAP is of course the recently-fashionable self-service BI approach of tools like Power Pivot where every end user can create their own model, which is certainly more flexible but also less easily maintainable, leads to duplication of effort and data, and can be a problem for less technically-able end users. Both a single centralised OLAP model and a distributed self-service approach are useful in different circumstances and the latter certainly doesn’t replace the former. One of the reasons why I’m such a fan of Microsoft’s new direction with Power BI is that it recognises this fact. 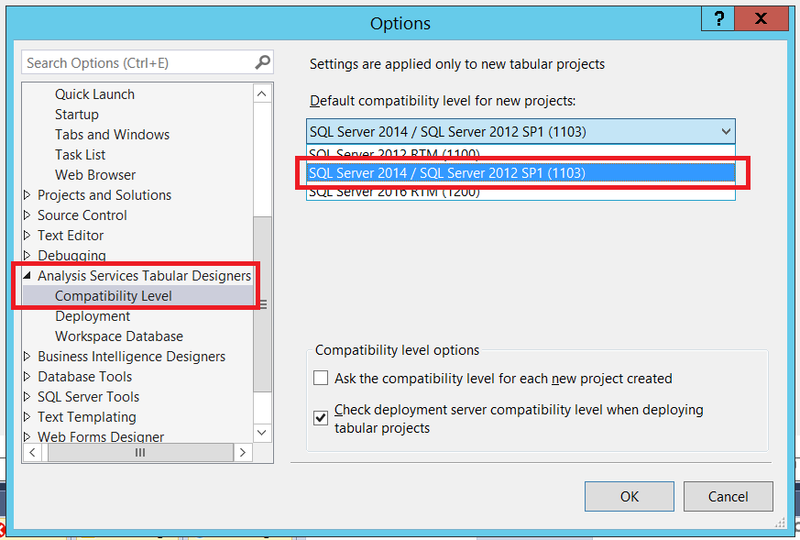 …in SSAS Tabular then there would be very few good reasons to choose SSAS Multidimensional for new projects. 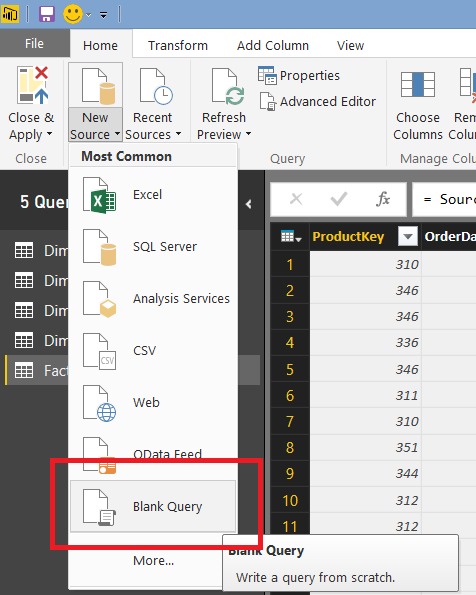 Following on from my last post covering DirectQuery in Power BI, I thought it might be interesting to take a look at the way MDX queries are supported in SSAS Tabular 2016 CTP3 DirectQuery mode. 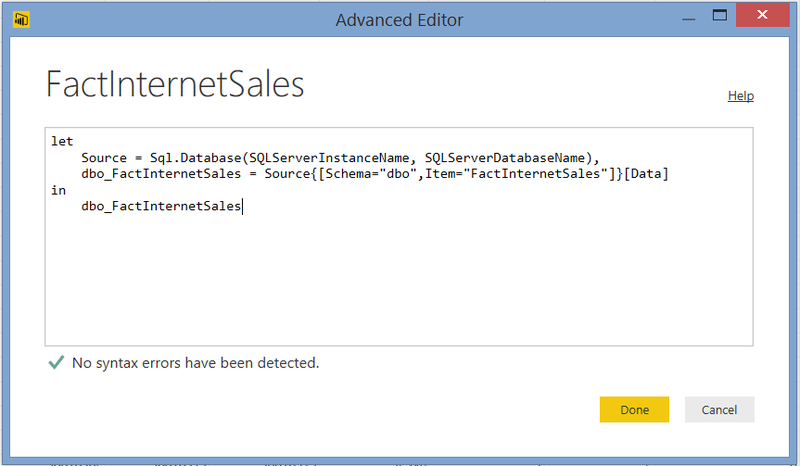 There were a lot of limitations when using DirectQuery in SSAS Tabular 2012/4, but for me the showstopper was the fact that it only worked if you were running DAX queries against your model. Historically the only major client tool that generated DAX queries to get data was Power View, and Power View was/is too limited for serious use, so that alone meant that none of my customers were interested in using DirectQuery. Although we now have Power BI Desktop and PowerBI.com, which also generate DAX queries, the fact remains that the vast majority of business users will still prefer to use Excel PivotTables as their primary client tool – and Excel PivotTables generate MDX queries. So, support for MDX queries in DirectQuery mode in SSAS 2016 means that Excel users will now be able to query a Tabular model in DirectQuery mode. This, plus the performance improvements made to the SQL generated in DirectQuery mode, means that it’s now a feature worth considering in scenarios where you have too much data for SSAS Tabular’s native in-memory engine to handle or where you need to see real-time results. Once you’ve created your project, you can enable DirectQuery mode in the same way as in previous versions by following the instructions here. The DirectQueryMode property on Model.bim needs to be set to On, and the QueryMode property on the project should be set to DirectQuery. The third is simply a repeat of the first query. However, there’s one important thing to say here: there are going to be significant changes and improvements to the SQL generated before RTM, so don’t read too much into the queries shown here. …will not. To be honest, I consider it a best practice to use fully qualified unique names anyway so I’m not too bothered about this. Drillthrough doesn’t work at the moment either. All in all, this looks like a solid piece of work by the SSAS dev team. Go and test it! I would love to hear from anyone with genuinely large amounts of data (maybe APS/PDW users?) regarding their experiences with 2016 DirectQuery. Recently I’ve been working with a customer using SSAS Multidimensional in ROLAP mode on top of Exasol and I’ve been surprised at how well it works; I would imagine that 2016 DirectQuery and APS would be an even better combination. One last thought. 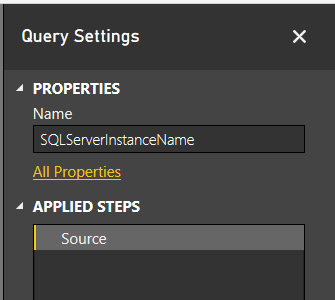 If we get the ability to query a cloud-based Power BI mode with MDX and MDX on DirectQuery is supported in Power BI too, why would you bother paying for an expensive SQL Server Enterprise/BI Edition licence plus hardware to use DirectQuery when you can get almost the same functionality in the cloud for a fraction of the price? 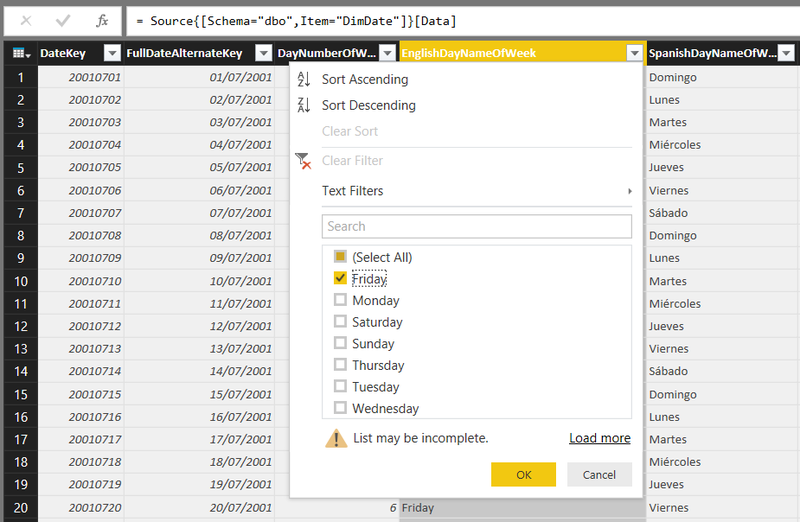 It turns out that Power BI in DirectQuery mode is actually SSAS DirectQuery version 2.0 combined with Power Query/Power BI “Get Data”’s query folding capabilities (where the logic in your queries is pushed back to the data source rather than evaluated inside Power BI) – which is quite interesting. 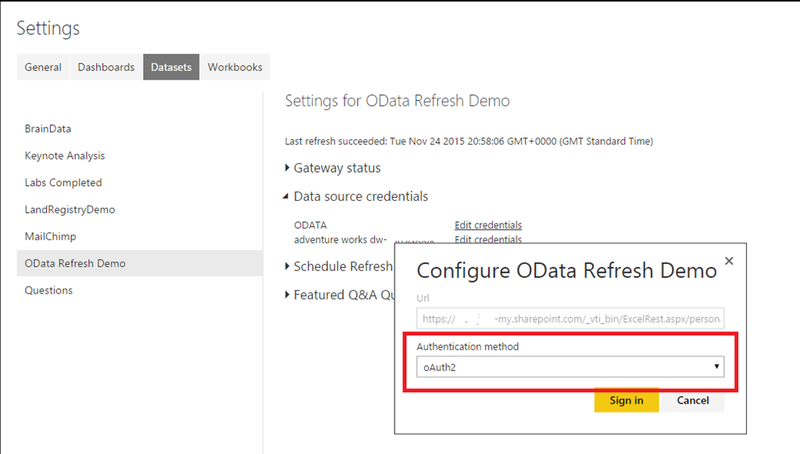 What’s happening here is that the output of “Get Data” (we so need a better name for this feature – how about “the functionality formerly known as Power Query”?) 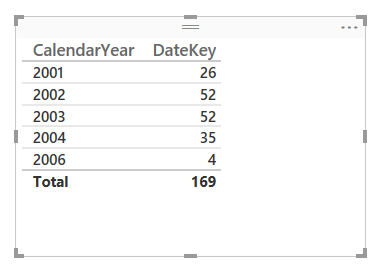 becomes the inner SELECT statement with the filter on EnglishDayNameOfWeek; while the table in the report that returns the count of dates by Year is responsible for generating the outer SELECT statement with the GROUP BY (this is the part of the Power BI engine that is related to SSAS DirectQuery). Even with this restriction I think the ability to apply transformations in Get Data is very useful indeed, because it means you have a lot of scope for cleaning and filtering data in DirectQuery mode and therefore building ‘live’ reporting solutions on data that isn’t modelled the way you’d like it to be. Remember, it’s still in Preview and so it has some limitations and bugs. For example, I’ve hit an issue where DirectQuery fails with a connection from my “Recent Sources” list, but works ok if I create a new connection. Prepare to be underwhelmed by the performance of DirectQuery, people: remember this is just ROLAP by another name, ROLAP has been around for years, and ROLAP has always had performance problems. These problems are not just related to the speed of the underlying engine or the size of the data – the ability of the OLAP engine to generate the SQL to get the data it needs also plays a major role. SSAS Multidimensional ROLAP and SSAS Tabular 2012-4 DirectQuery generate some pretty wretched SQL even in the most simple scenarios and it looks like Power BI DirectQuery is a big improvement on them. But what about more complex queries? This is a very difficult problem to crack. My feeling is that if your data does fit into Power BI’s native engine then you should import it rather than use DirectQuery, if you want to get the best possible query performance. 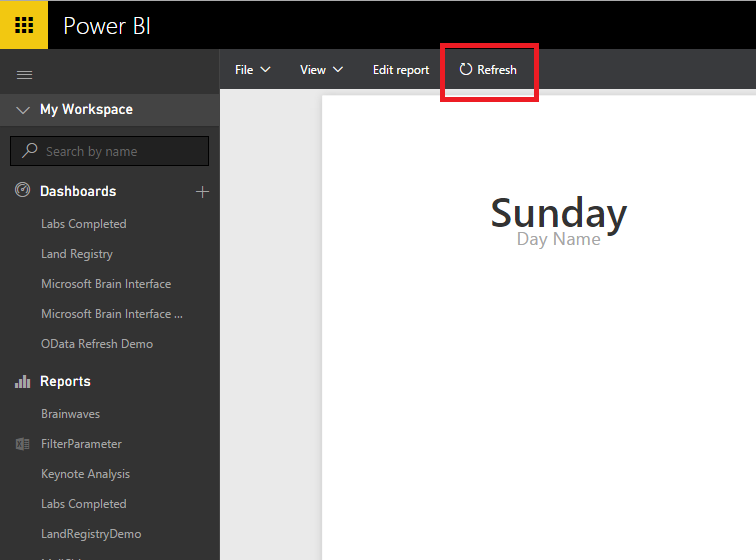 I suspect that this performance issue is also the reason why the New Measure button is greyed out in Power BI Desktop when you’re in DirectQuery mode. 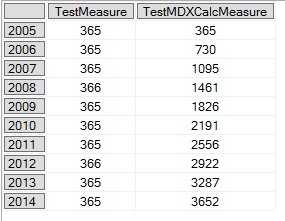 This isn’t a limitation of the engine because SSAS Tabular does support more complex DAX measures in DirectQuery mode, albeit with some restrictions on the functions you can use. However, the more complex your DAX measures are, the more complex the problem of generating SQL becomes and the more likely your queries are to be slow. I don’t think this is a good reason for completely preventing users from creating their own measures though: there are lots of scenarios where you will need to create measures and performance would still be acceptable. Maybe this is an example of an ‘advanced’ feature that could be switched on by power users? In a year’s time there will be a great opportunity for someone to present a session on “Power BI Development Best Practices” at the PASS Summit. Before then, we will all have to work out what those best practices actually are – probably the hard way. With that in mind, here’s a suggestion for one good practice that came out of a conversation at this year’s PASS Summit (thank you Prathy). That means that if you ever need to change the server or database that the queries point to – maybe because the server has migrated, or because you’re moving the reports from dev to test to production – then you have to edit each of these five queries. Which would be a pain. 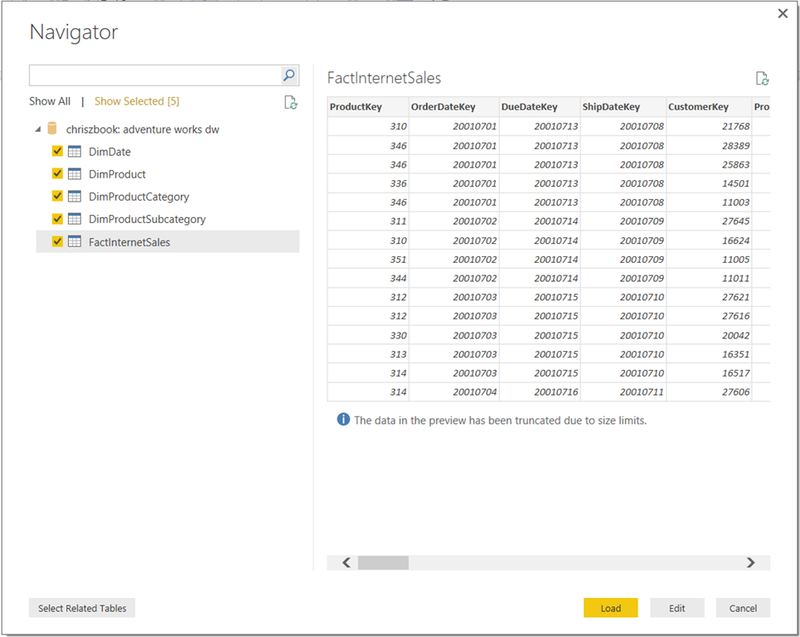 Ideally Power BI would create a single connection that each of these queries could share, something like a data source in SSRS. In fact I can see that this has already been raised as a suggestion on the forum here and is under review; I’m sure some more votes would raise its profile. However there are certainly a number of different ways you can avoid this kind of duplication by making your own changes to these queries though. Now, if you ever need to change the connection you just need to change the values in these two queries rather than edit every single query that returns data. Audience satisfaction was a little flat for the first half hour and then rose noticeably when the content became more technical and the demos started. Both the SQL Server R Services and Stretch Database demos were the high points as far as my panel were concerned; the lowest point came when there was mild outrage at the use of Profiler in a demo. Thanks once again to everyone who helped me out!